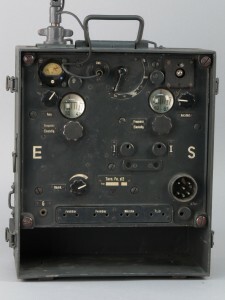 The 9. 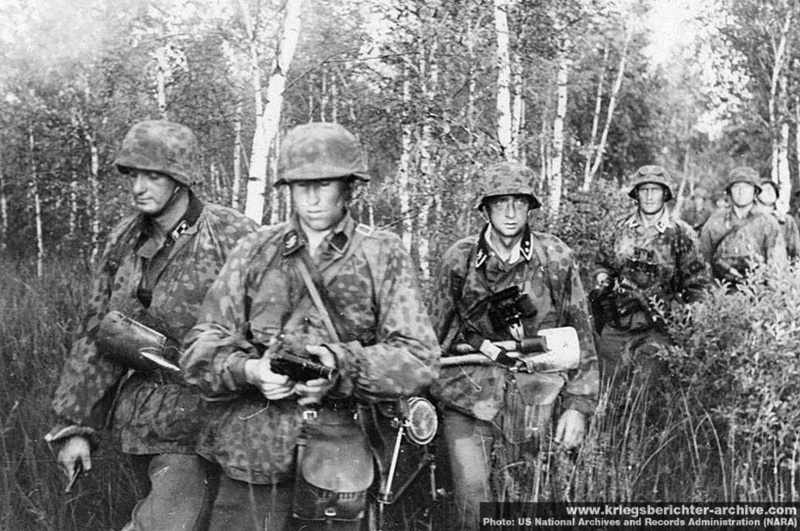 SS-Panzer-Division “Hohenstaufen” was created mid-war and therefore much less photographed than other Waffen SS divisions so original wartime pictures are hard to find. 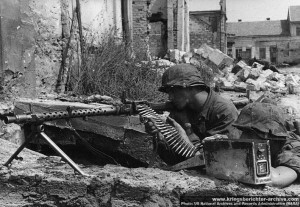 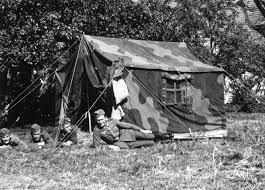 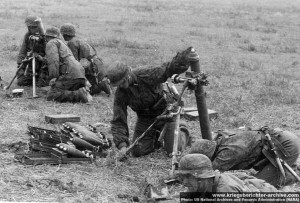 Here is a small selection of recognised 9.SS Hohenstaufen photographs mainly taken during the Battle of Arnhem (17-26 September 1944) with some original wartime photos of various Waffen SS division at the end of the page. 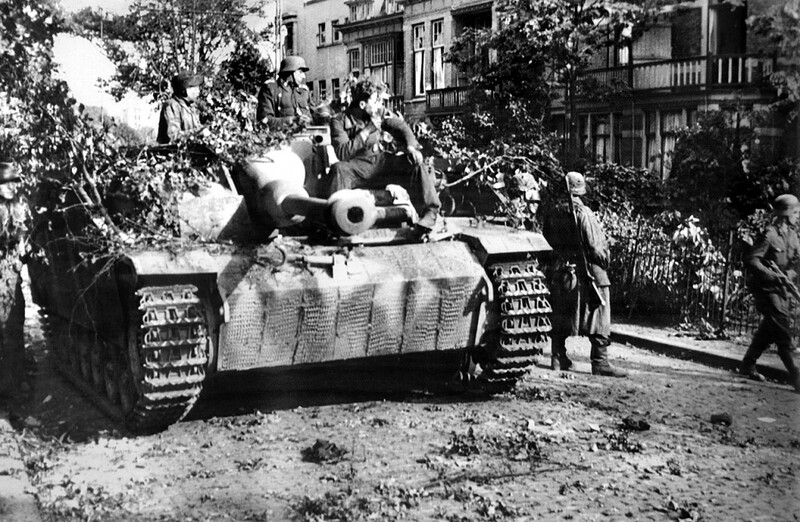 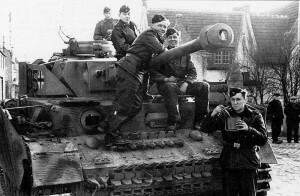 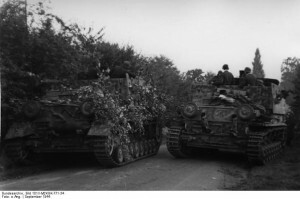 StuG III of Sturmgeschütz-Brigade 280 stops at the junction of Bovenover and Onderlangs in Arnhem, Netherlands as the soldiers from the 9. 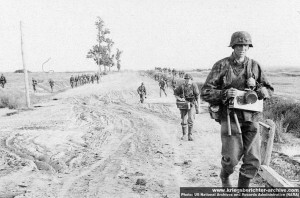 SS Panzer Division Hohenstaufen search the last of the buildings for British troops on 19 September 1944. This StuG III was hit by a British PIAT round early in the day, making a small dent upon impact on the left armor plating by the gun. 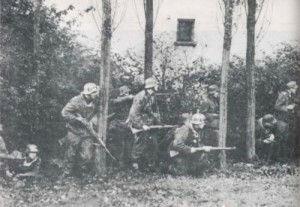 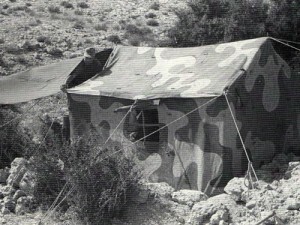 Soldiers of the 9. 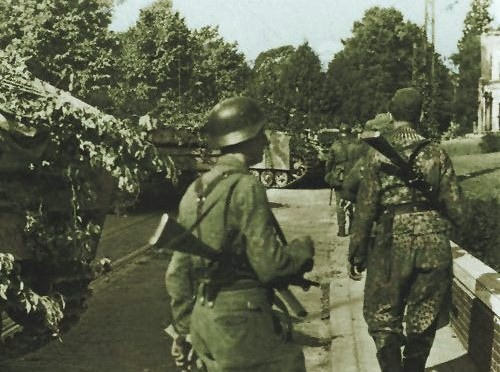 SS Panzer Division Hohenstaufen walk among abandoned equipment after the British parachutists were captured on Onderlangs street in Arnhem, Netherlands on 19 September 1944. 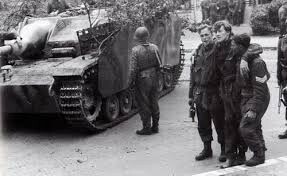 The StuG III is from Sturmgeschütz-Brigade 280, which arrived on the battle scene that day. A dead German soldier from 9. 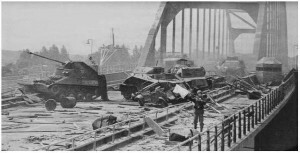 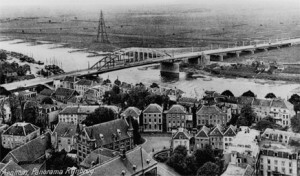 SS Hohenstaufen after Hauptsturmführer Gräbner’s failed Arnhem Bridge assault. 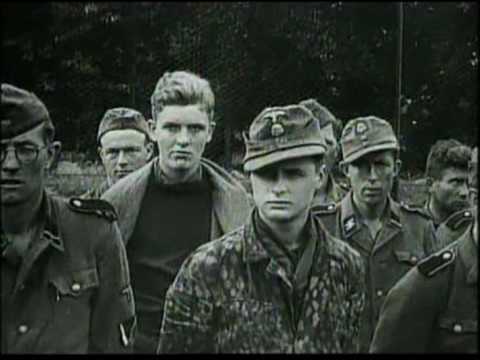 Four of the five prisoners of the SS-Panzer-Aufklärungs-Abteilung 9/9.SS-Panzer-Division “Hohenstaufen” (one is a seventeen years old. 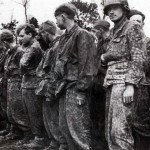 All of them are wearing the pea dot 44 camouflage pattern (SS-Erbsenmuster) that were peculiar to the Waffen SS) shortly before being handed over to the Military Police, captured during Viktor Graebner’s ill-fated attempt to rush through the British defences around Arnhem Bridge on the morning of Monday, 18th September 1944. 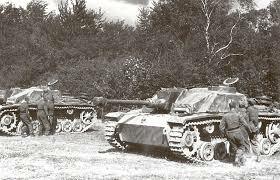 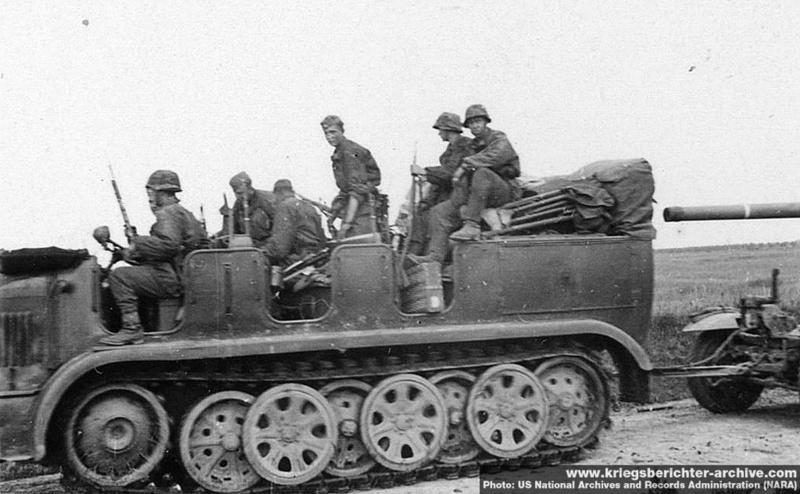 Stug III self-propelled guns of the 9. SS Panzer Division making their way into Arnhem. To the left lies the body of a dead German. 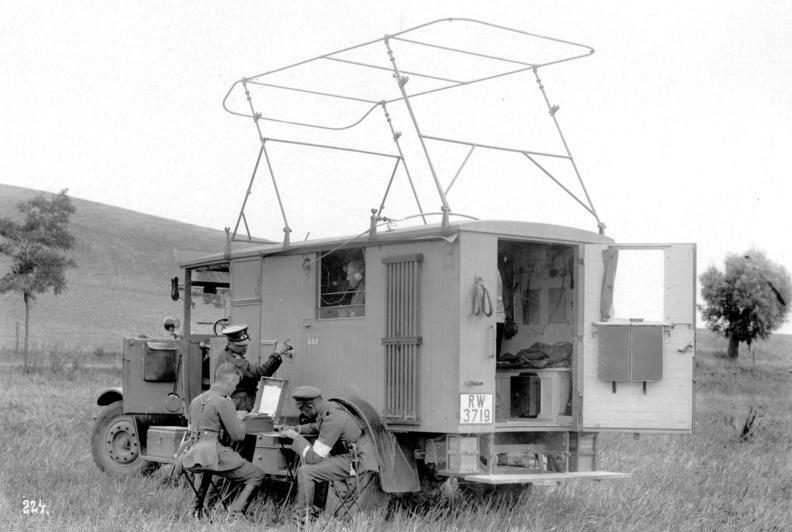 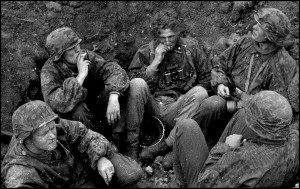 Ref: Bundesarchiv. 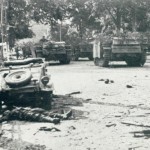 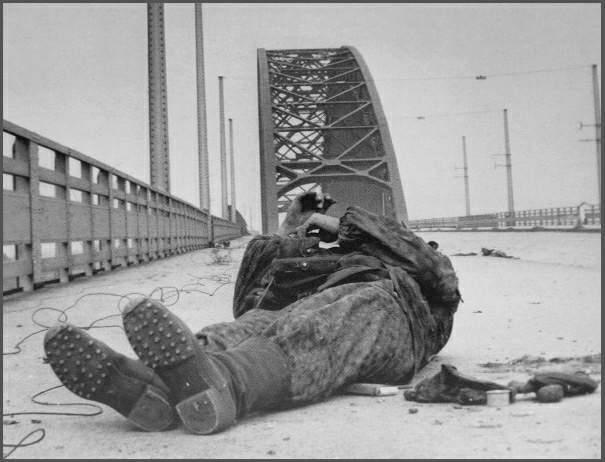 The aftermath of Arnhem. A StuG III of the 9. SS Panzer Division Hohenstaufen and captured British paratroopers. SS soldiers from both Hohenstaufen and Frundsberg were involved in the battle, and their treatment of the prisoners afterwards was exemplary. 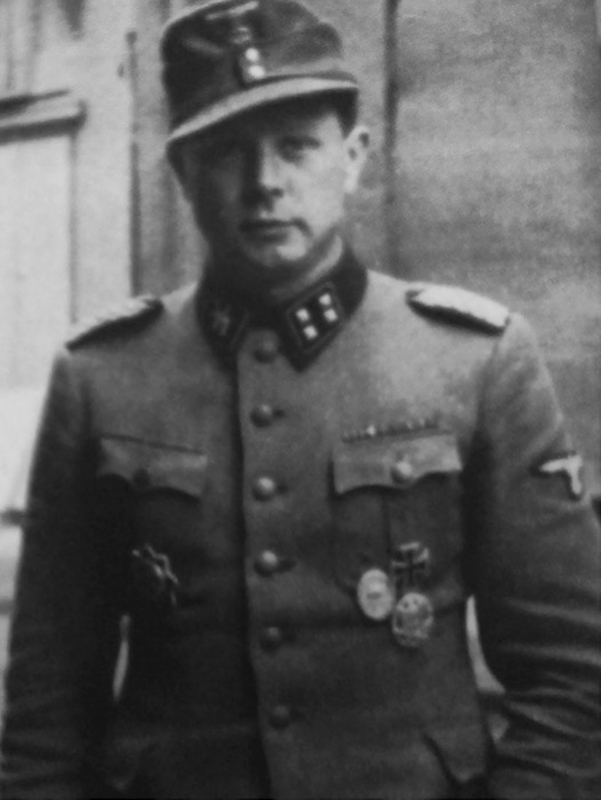 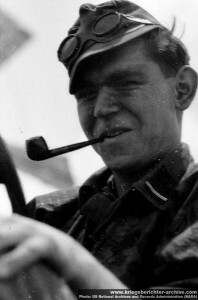 SS-Sturmbannführer Dr. Egon Skalka, chief medical officer of the Hohenstaufen Division, photographed in early 1945. 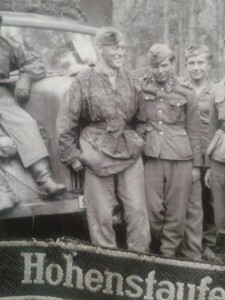 Skalka was instrumental in arranging the truce to evacuate wounded from the Oosterbeek pocket to hospitals in Arnhem in September 1944, which resulted in the lives of many wounded British paratroopers being saved. 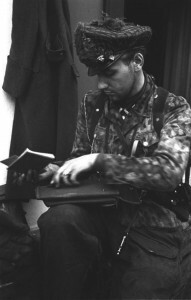 An officer of the 9. 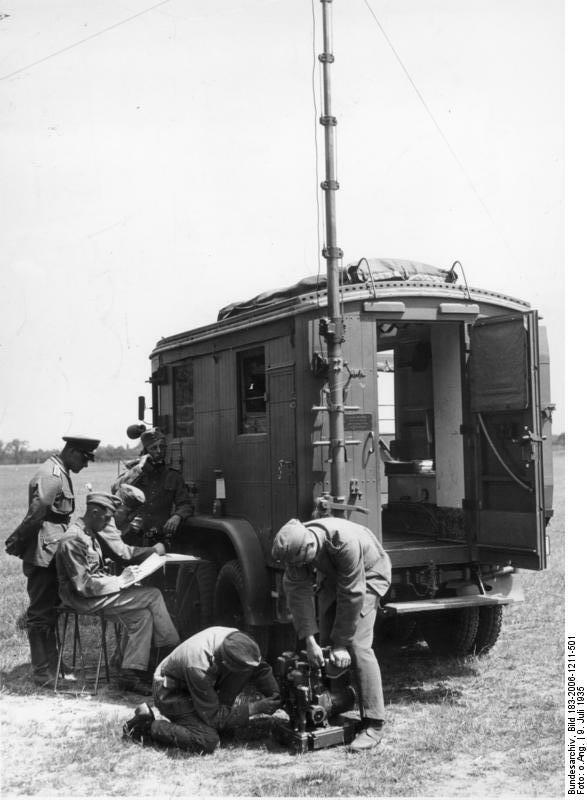 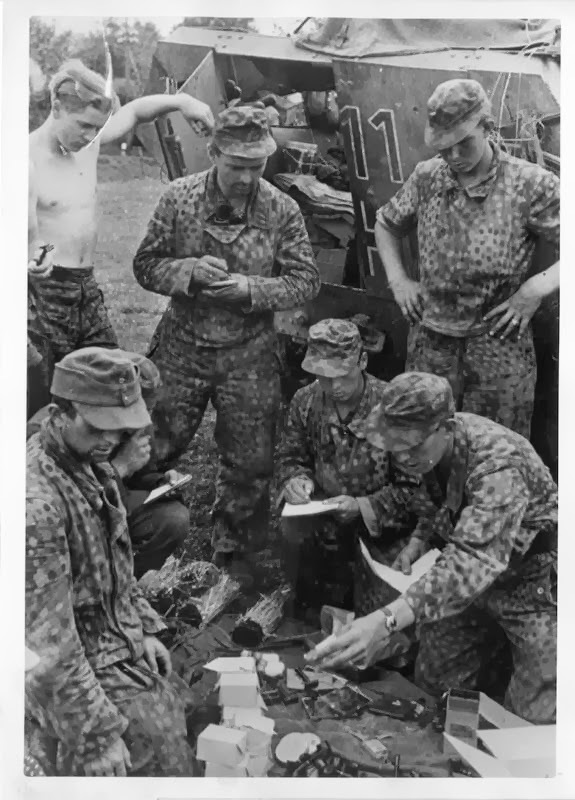 SS Panzer Division Hohenstaufen busies himself with administration on 20 September 1944. 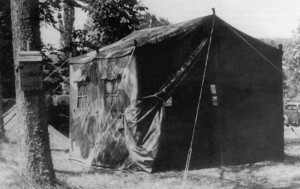 He was photographed at house no. 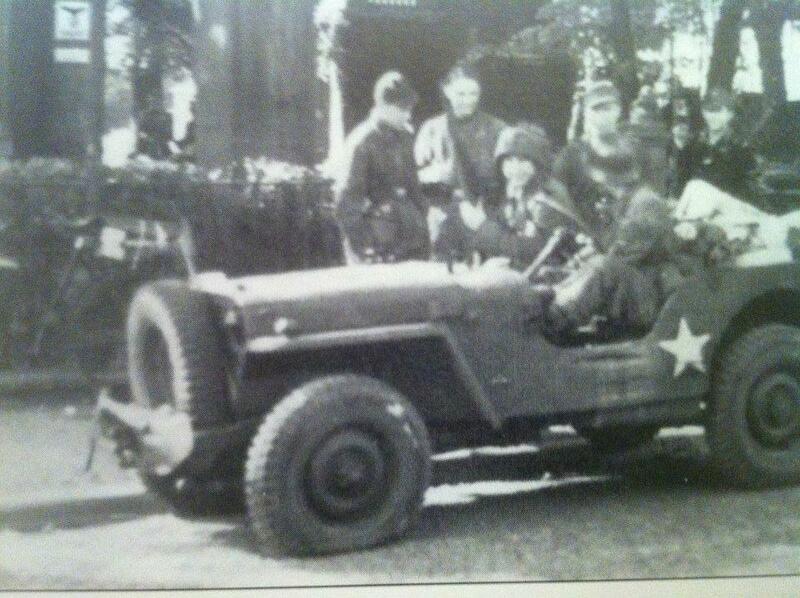 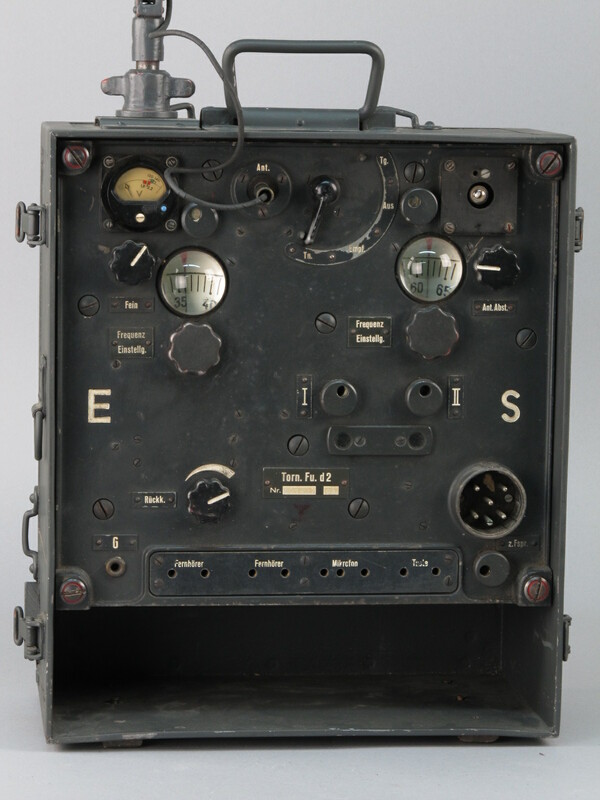 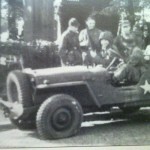 6 on the Dreijenseweg street, Oosterbeek, Netherlands. 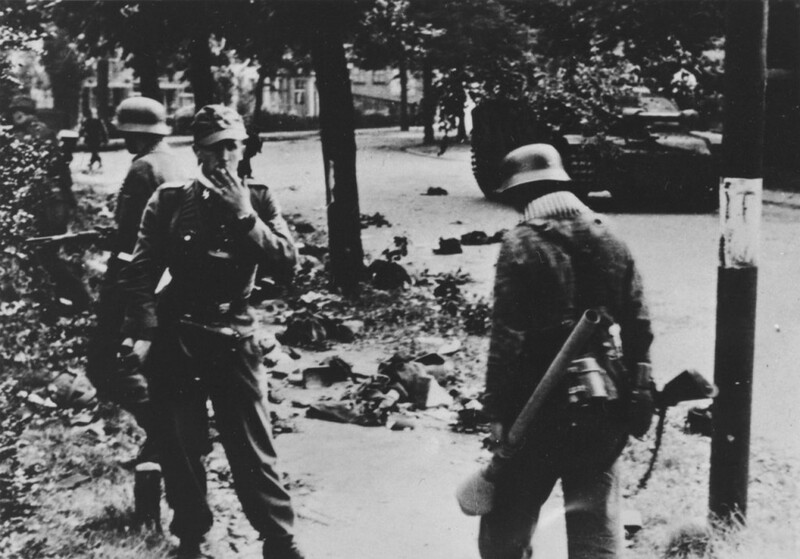 Waffen SS with Captured Jeep at Battle of Arnhem 1944. 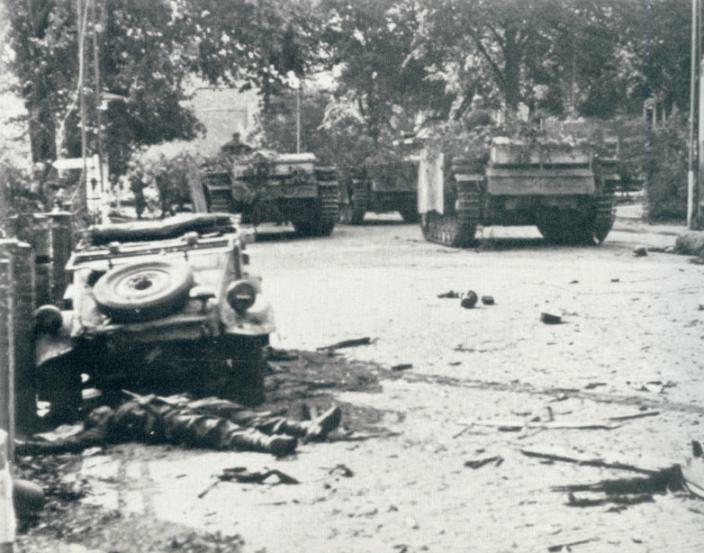 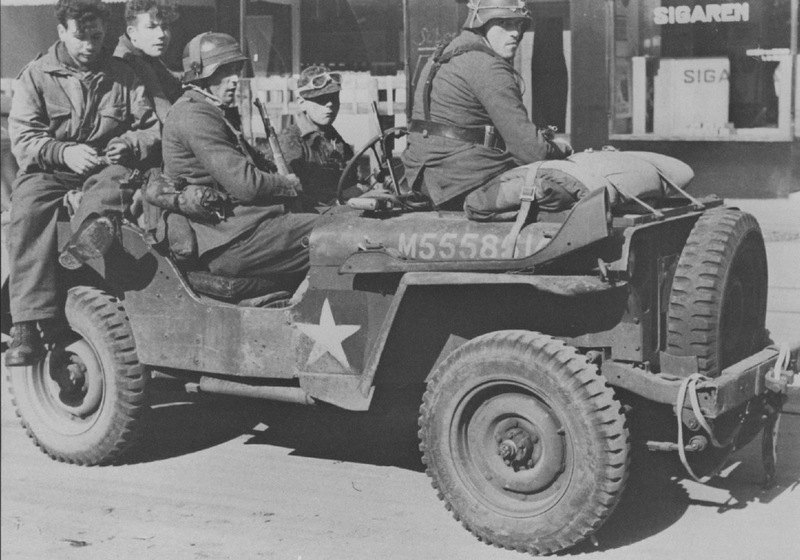 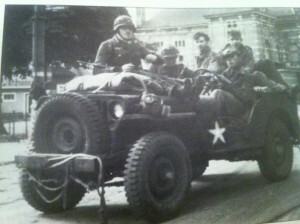 Captured British Airborne troopers and Jeep during Operation Market Garden, Arnhem 1944. 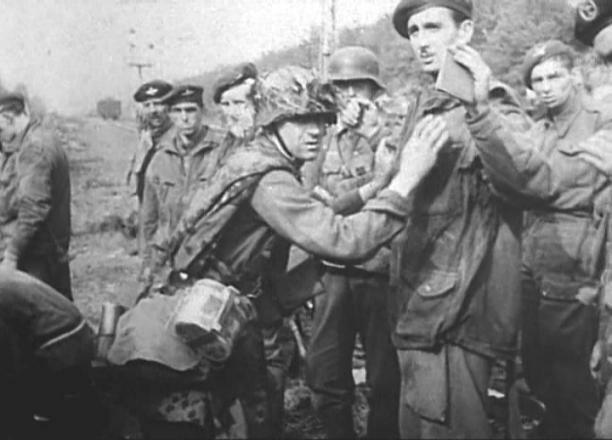 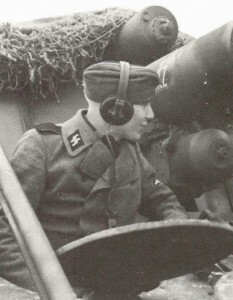 The German soldiers probably belong to one of the Waffen SS Panzer Divisions (9ss Hohenstaufen or 10ss Frundsberg) as the driver appears to be wearing a Waffen SS camouflage tunic and cap and the passenger has a Waffen SS Zeltbahn on his equipment belt. 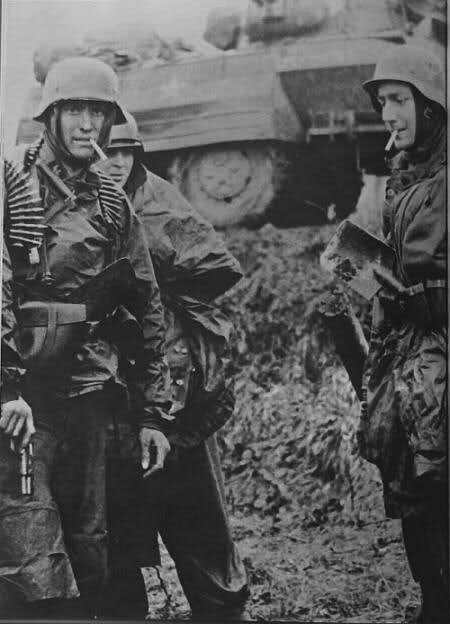 Also, the SIGAREN shop window sign is Dutch for cigarettes which indicates this original wartime photo was most likely taken during the Arnhem battle of September 1944. 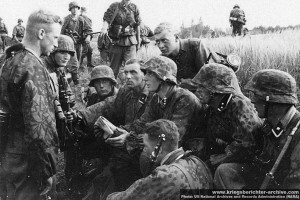 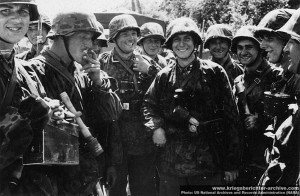 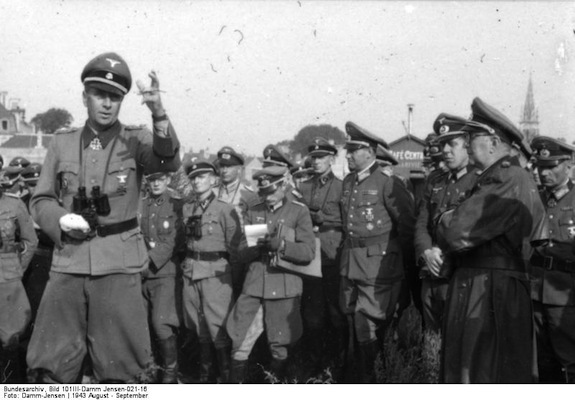 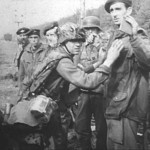 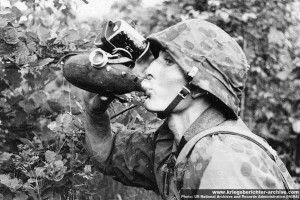 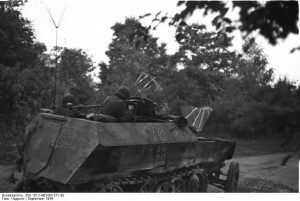 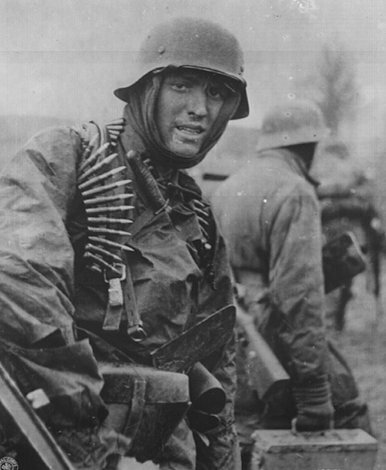 Original Wartime Pictures of various Waffen SS Divisions. 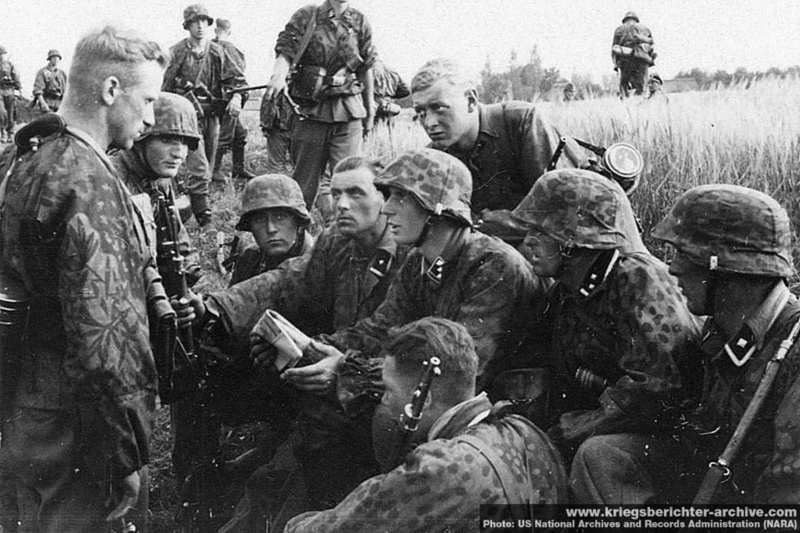 Waffen SS Panzer Mk IV and Crew, France – very likely 12.SS Panzer-Division Hitlerjugend. 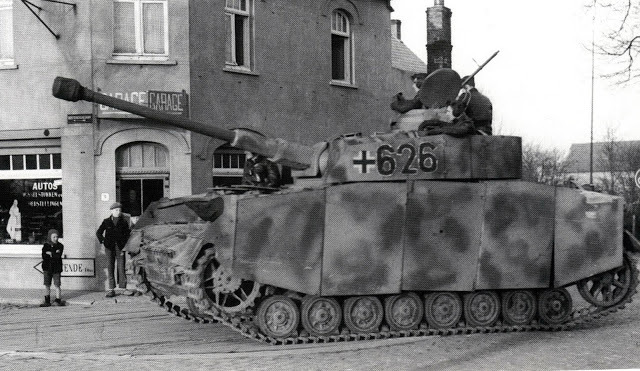 Panzerkampfwagen IV ausf H (turmnummer 626) of 6.Kompanie/SS-Panzer-Regiment 12/12.SS-Panzer-Division “Hitlerjugend” passes a garage on its way to the front at Caen. 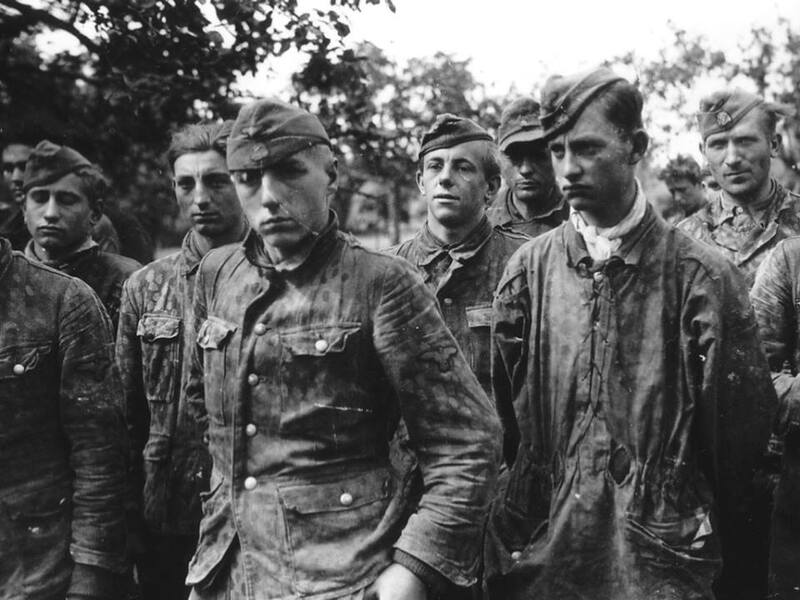 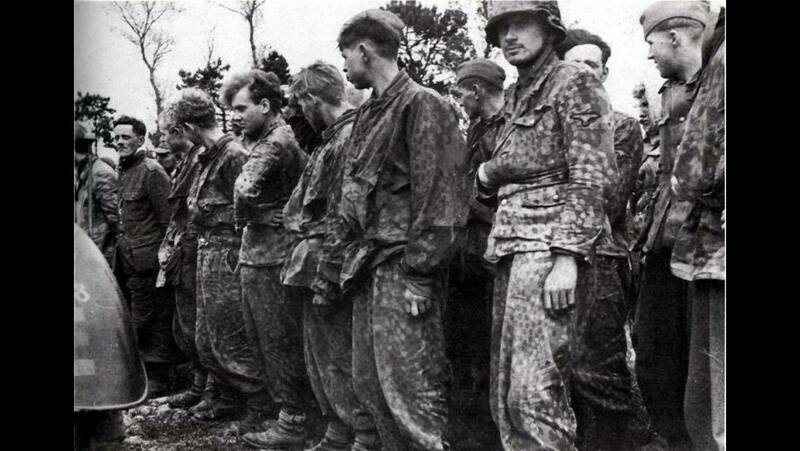 German Waffen SS Prisoners of War captured during the Battle for Caen, Normandie (June – August 1944) – believed to be from 12ss Hitlerjugend Panzer Division. 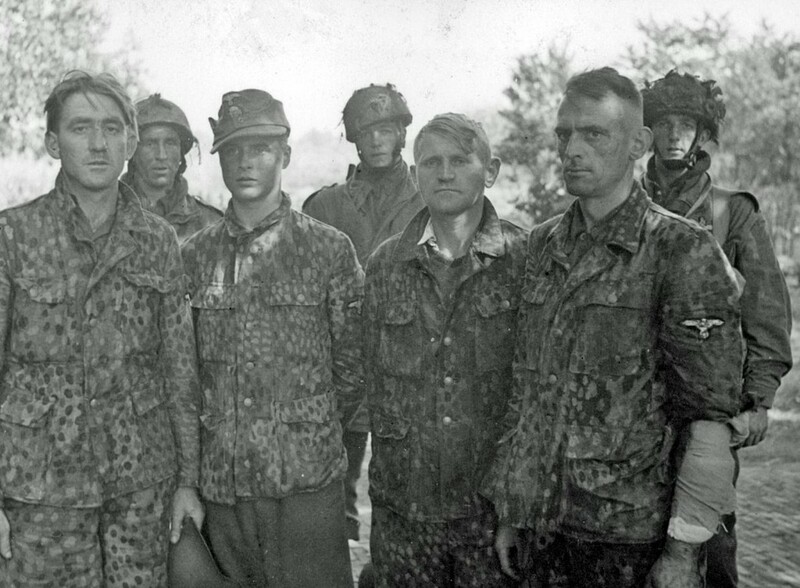 Waffen SS squad with various smocks.